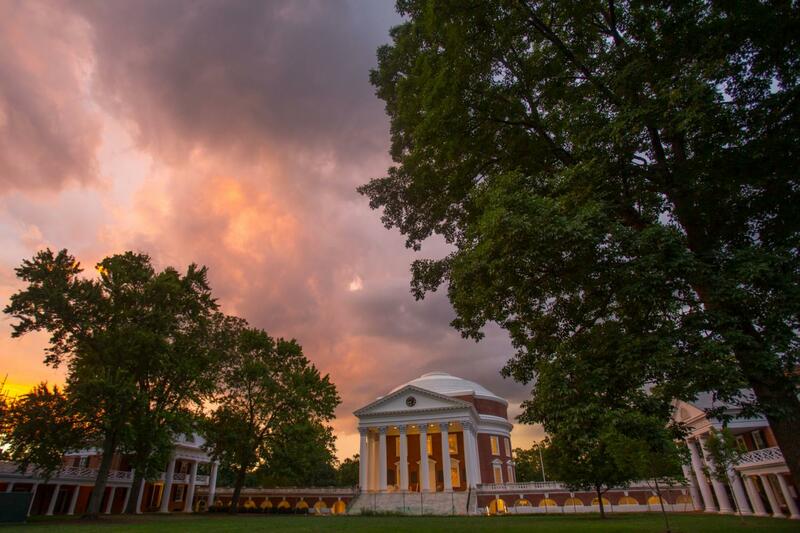 The sixth annual VQR Writers’ Conference takes place June 24-29, 2019, on the grounds of the historic University of Virginia in Charlottesville. Our conference is designed for serious writers at all stages of their careers looking for inspiration and camaraderie. Conference participants pay $1,500, which includes lodging and meals. For participants who do not need housing, the cost is $1,250. Once admitted to the conference, a nonrefundable deposit of $250 is due by May 15. The balance is due at or before registration. Payment may be made by check or credit card. A limited number of $500 scholarships will be made available based on the potential for literary excellence. Applicants will be notified of acceptance on a rolling basis. Kyle Dargan is the author of the recently released poetry collection Anagnorisis (TriQuarterly/Northwestern, 2018). His four previous collections, Honest Engine (2015), Logorrhea Dementia (2010), Bouquet of Hungers (2007), and The Listening (2003)—were all published by the University of Georgia Press. For his work, he has received the Cave Canem Poetry Prize, the Hurston/Wright Legacy Award, and grants from the DC Commission on the Arts and Humanities. His books have also been finalists for the Kingsley Tufts Poetry Award and the Eric Hoffer Awards Grand Prize. 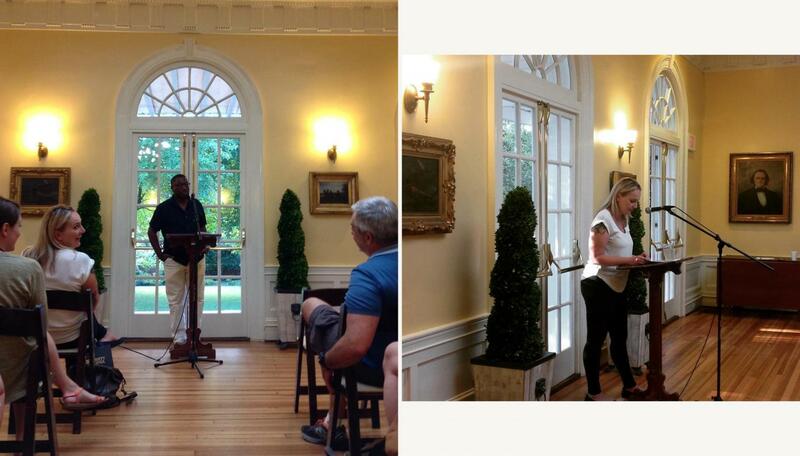 Dargan has partnered with the President’s Committee on the Arts and Humanities to produce poetry programming at the White House and Library of Congress. He’s worked with and supports a number of youth writing organizations, such as 826DC, Writopia Lab, Young Writers Workshop and the Dodge Poetry high schools program. He is currently an associate professor of literature and assistant director of creative writing at American University, as well as the founder and editor of POST NO ILLS magazine. Originally from Newark, New Jersey, Dargan is a graduate of Saint Benedict’s Prep, the University of Virginia, and Indiana University. Meghan Daum is a columnist for Medium and is the author of four books, most recently the collection of original essays The Unspeakable: And Other Subjects of Discussion (FSG, 2014), and is the editor of the New York Times bestseller Selfish, Shallow & Self-Absorbed: Sixteen Writers on the Decision Not To Have Kids (Picador, 2015). A former opinion columnist at the Los Angeles Times for more than a decade, she has also contributed to the New York Times Book Review, the New Yorker, the New York Times Magazine, the Atlantic, and Vogue, among other publications. She is the recipient of a 2015 Guggenheim Fellowship and a 2016 National Endowment for the Arts Fellowship. Daum is on the adjunct faculty of the MFA Writing Program at Columbia University’s School of the Arts and in 2017 was the Bedell Distinguished Visiting Professor in the University of Iowa’s Graduate Nonfiction Writing Program. Manuel Gonzales is the author of the short-story collection The Miniature Wife and other stories (Riverhead, 2013) and the novel The Regional Office is Under Attack! (Riverhead, 2016). He has taught creative writing for the Institute of American Indian Arts, the Queens University Latin American Low-Residency Program, the University of Kentucky, and the Tin House Summer Workshop. He’s currently a faculty member at Bennington College, where he teaches literature and creative writing, and at the Bennington Writing Seminars, where he teaches fiction. Amy Hempel is the author of five collections of short stories, including Sing to It: New Stories (Scribner, 2019). Her Collected Stories was named one of the New York Times’s Ten Best Books of the Year, won the Ambassador Award for Ficton, was a finalist for the PEN/Faulkner Award, and won the Harold Vursell Award from the American Academy of Arts and Letters. She has received a Guggenheim Fellowship and an inaugural United States Artists Foundation Fellowship. Her work has appeared in Harper’s, Vanity Fair, the Quarterly, the Yale Review, the Harvard Review, GQ, and many other places, and has been widely anthologized, including in such series as Best American Short Stories, the Pushcart Prize Anthology, and Best Non-required Reading. Her stories have been translated into at least twenty languages. She is a founding board member of the nonprofit dog rescue the Deja Foundation. She teaches at Bennington College and Stony Brook University, and lives in New York. Mitchell S. Jackson’s debut novel, The Residue Years (Bloomsbury, 2013), won the Ernest J. Gaines Prize for Literary Excellence and was a finalist for the Center for Fiction Flaherty-Dunnan First Novel Prize, the PEN/Hemingway Award for Debut Fiction, and the Hurston/Wright Legacy Award. Jackson’s honors include a Whiting Writers’ Award, and fellowships from the Lannan Foundation, the Ford Foundation, PEN America, TED, New York Foundation for the Arts, and the Center for Fiction. His writing has appeared or is forthcoming in the New Yorker, Harper’s, VQR, the New York Times Book Review, the Paris Review, the Guardian, Tin House, and elsewhere. His nonfiction book, Survival Math: Notes on an All-American Family (Scribner, 2019), was recently published to great acclaim. He is a Clinical Associate Professor of Writing in Liberal Studies at New York University. Bret Anthony Johnston is the author of the internationally bestselling novel Remember Me Like This (Random House, 2014), which was a New York Times Notable Book of the Year, a Barnes and Noble Discover Great Writers selection, and the winner of the 2015 McLaughlin-Esstman-Stearns Prize. The book has been translated around the world and is being made into a major motion picture. He is also the author of the short-story collection Corpus Christi (Random House, 2004) and the editor of Naming the World and Other Exercises for the Creative Writer (Random House, 2008). His work has appeared in the Atlantic, the Paris Review, the New York Times Magazine, Esquire, as well as in the anthologies Best American Short Stories, Pushcart, Best American Sports Writing, and, best of all, VQR. 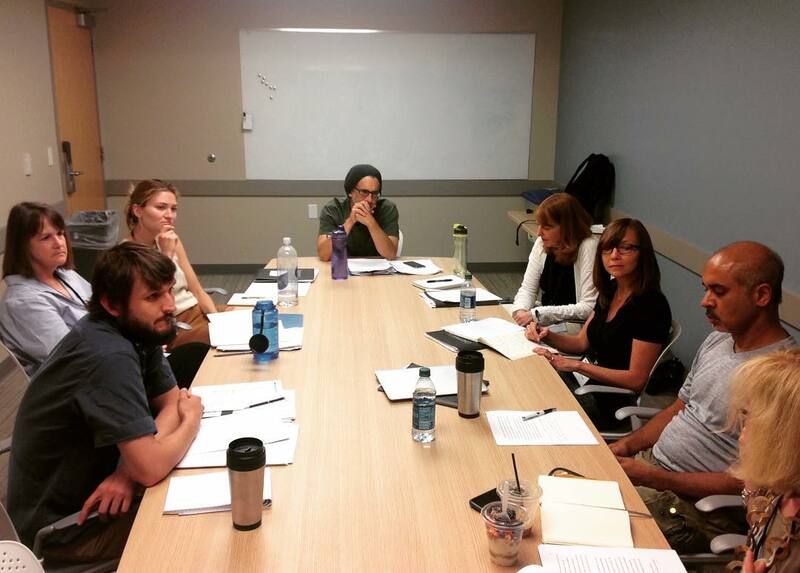 He is the Director of the Michener Center for Writers at the University of Texas. Erika Meitner is the author of five books of poems and winner of the 2018 National Jewish Book Award for Poetry. She was a US-UK Fulbright Distinguished Scholar in Creative Writing and the Diane Middlebrook Poetry Fellow at the University of Wisconsin Institute for Creative Writing and has received fellowships from the MacDowell Colony, the Virginia Center for Creative Arts, the Hermitage Artist Retreat, the Blue Mountain Center, and the Sewanee Writers’ Conference. She is currently an associate professor of English and the director of the MFA program in creative writing and the undergraduate creative writing program at Virginia Tech. Meitner’s first book, Inventory at the All-Night Drugstore (Anhinga Press, 2003), won the Robert Dana-Anhinga Prize for Poetry, and her book Ideal Cities (HarperCollins, 2010) was selected as a winner of the 2009 National Poetry Series competition. Her newest collection is Holy Moly Carry Me (BOA, 2018). Her poetry and prose have been included in several anthologies, including Best American Poetry (2011) and Best African American Essays (2010), as well as many journals, including the New York Times Magazine, the Southern Review, Slate, the Kenyon Review, Tin House, the New Republic, Ploughshares, and the American Poetry Review. Meitner also creates larger-scale documentary photo/text projects on urban environments, including “This is Not a Requiem for Detroit” and “RNC CLE,” both commissioned by and published in VQR. She is currently working on a project on Miami and sea-level rise. Safiya Sinclair is the author of Cannibal (Nebraska, 2016), winner of a Whiting Writers’ Award, the American Academy of Arts and Letters Addison M. Metcalf Award, the OCM Bocas Prize for Caribbean Poetry, the Phillis Wheatley Book Award, and the Prairie Schooner Book Prize in Poetry. It was selected as one of the American Library Association’s “Notable Books of the Year,” and was a finalist for the PEN Center USA Literary Award, as well as being longlisted for the PEN Open Book Award and the Dylan Thomas Prize. Her other honors include a Pushcart Prize, a Ruth Lilly and Dorothy Sargent Rosenberg Fellowship from the Poetry Foundation, fellowships from Yaddo, the Bread Loaf Writers’ Conference, and the Fine Arts Work Center in Provincetown. Her poems have appeared in Poetry, Kenyon Review, Granta, the Nation, New England Review, Boston Review, Oxford American, the 2018 Forward Book of Poetry, and elsewhere. She received her MFA in poetry from the University of Virginia and her PhD in literature and creative writing from the University of Southern California. Money is often a taboo subject for writers, but if you want your writing to be a long-term, sustainable activity—or a living wage—then it’s necessary to consider the business model that will support your art. Whether you choose to have a day job, or focus on how to market and sell your work for top dollar, we’ll discuss how to be clear-eyed and strategic about developing revenue streams and a business model best suited to your personality, your writing, and your career expectations. Jane Friedman has twenty years of experience in the book, magazine, and digital publishing industry. She’s the co-founder of The Hot Sheet, the essential publishing-industry newsletter for authors, and has previously worked for F+W Media and the Virginia Quarterly Review. Her work and expertise has been featured by NPR, PBS, CBS, the Washington Post, the National Press Club, and many other outlets. In addition to being a columnist with Publishers Weekly and a professor with The Great Courses, Jane maintains an award-winning blog for writers at JaneFriedman.com. She has served on grant panels for the National Endowment for the Arts and the Creative Work Fund, and has held positions as a professor of writing and media at the University of Cincinnati and the University of Virginia. Jane’s most recent book is The Business of Being a Writer (Chicago, 2018).